Caribou Heading into the Weekend!!! Caribou Nation… the weekend is here and yet another snow storm is about to hit the east, UNREAL!!! But that ain’t stoppin nothin. Rotman is heading up to Mad River Glen to tear up the slopes and try out his new Line Prophet 90’s. Lori is having a little Camp Tapawingo reunion in Boston tonight. And Bill is heading to San Diego for a National Camp Conference. BIG MOVES ALL AROUND. Camper News: Dan Gittleman-Egan is ripping up the hard wood on two different basketball teams. The Brookline Warriors Metrowest are currently 5-3 and 15th in the state. 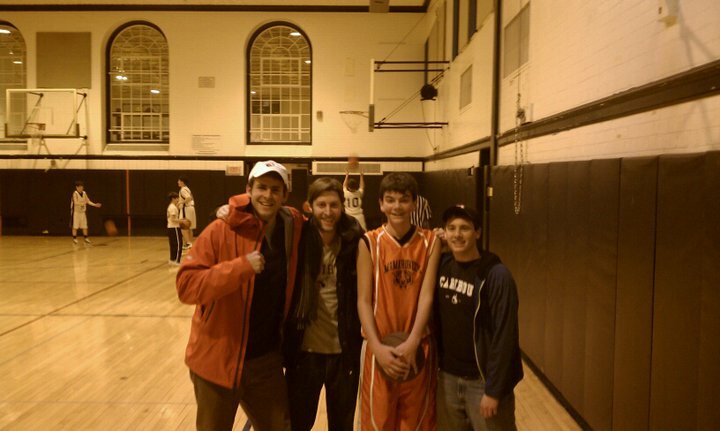 And Dan is also playing center and averaging 15pts a game for the Lincoln School who are 5-0. WAY TO BE DAN. Represent. See you at the BOU. YOOO. check out this fresh pic from our trip to New York. Just absolute legend status. Max Kaufman, Levin-Ep, Fischer, and Rotman. Keep in touch guys. BOOM!!!!! I’m going to leave you guys with one of the most ridiculous videos on youtube!! !